ANTITALY is a popular Ukrainian pop rock band! 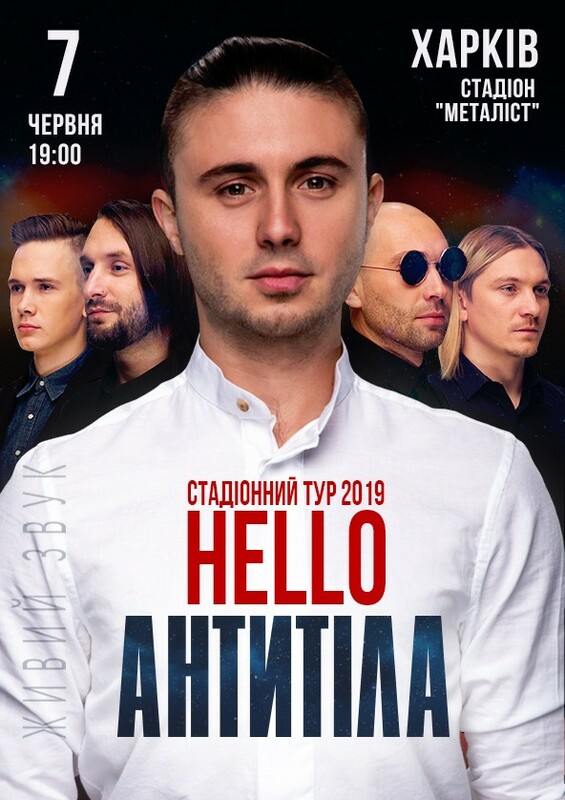 The authors and performers of the hits "TDME", "Catch the moment", "Buduvudu", "Take your own", cover version "People as a ship" of the Scriabin group. Headliners and participants of the coolest Ukrainian and foreign open-air festivals. The band, which has released many popular hits over the last ten years, including on the discs "Everything is beautiful" and "The Sun", songs from which long held on the tops of Ukrainian radio charts. The teams presented a series of powerful video clips and traveled to more than fifty cities of ukraine and twenty cities of America and Canada, gathering over one hundred thousand people around the world for their concerts! The owners of many musical awards of the country, including "Golden Jarptica"! there were concerts of the music band within the framework of one round "as well as the authors of the official soundtracks to the loud TV series" School "(song TDMEand comedy melodramas" I, You, He, She "(song" Lego "). Representatives from Ukraine at the festivals "Sziget" (Budapest, Hungary), "Bloor west willage festival" (Toronto, Canada), "SXSW" (Austin, USA). All the performances of the band - an explosion of energy and high-quality live sound, flavored with a special content poetry, inherent only to Antibodies! At concert groups go families and company with friends, under the songs of the group fall in love, declare and marry, tear off, dream, think, cry, live, and, of course, .... the songs of the band are inspired! Tens of millions of YouTube clips on YouTube is a confirmation. The stadium tour in support of the new album "Hello" is the first unique opportunity to bring tens of thousands of people close to the spirit of the people to the Anti-music music to feel and see a show that has never happened to fans of the band! And musicians promise to be surprised! Exclusive scenery, sound, light, thought-out dramaturgy and a large extended three-hour musical program. Such a skip is not worth it! Join, call your friends and relatives! Taras Popola - vocals, music and lyrics. Sergei Vusik - keyboards, music and arrangements. Dmitry Zholud is a guitar. Michael Chirko - bass guitar.